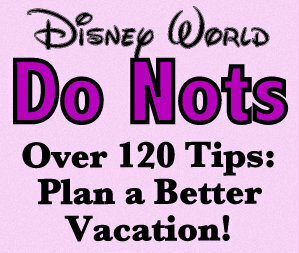 If you’ve been to Disney World lately, surely you have noticed the astounding amount of little Disney Princesses running rampant (in full make up and plastic heels, no less) through the parks. 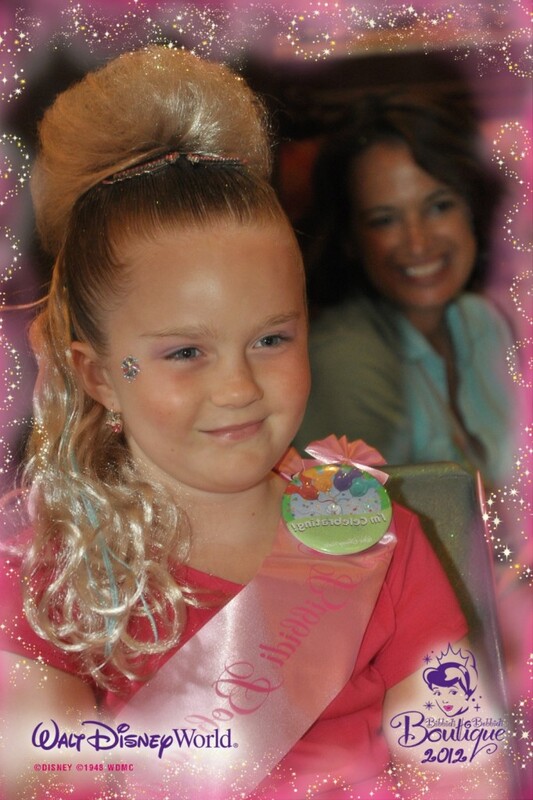 Dresses, shoes, tiaras, shiny jewelry, and let’s not forget the princess up-do and sparkly make up. 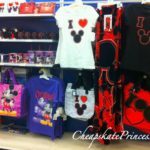 Holy Minnie Mouse, if your princess isn’t dressed to the nines, then she’s liable to feel like she’s been left out of all the fun. The quest for fun-time entertainment is probably not the issue if you are on a budget; it’s the ca$h. 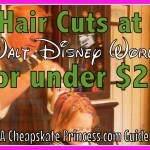 How much will transforming your princess into an official Disney-fied Princess cost? 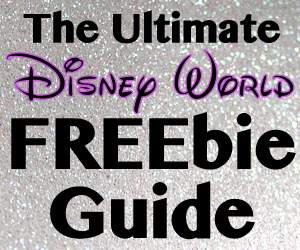 What is the Bibbidy Bobbidy Boutique?! 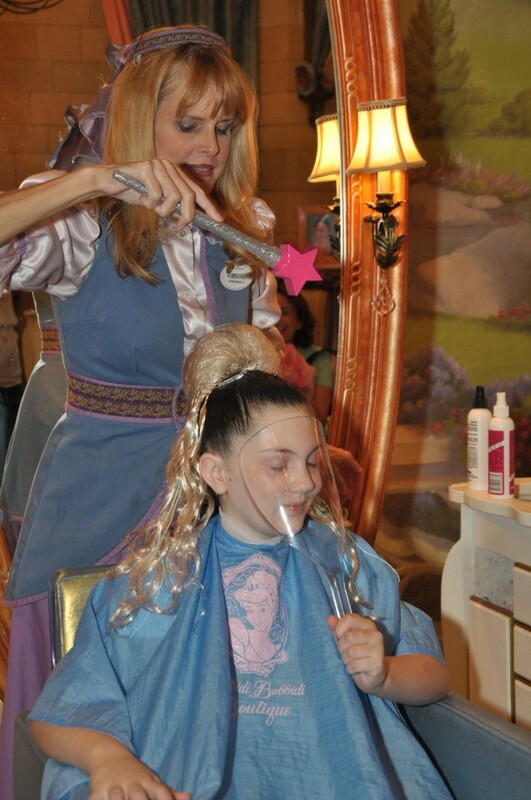 The Bibbidi Bobbidi Boutique is an amazing salon where mini princesses can create their own wands, fill up jewelry boxes, and walk out with faux hair of a completely different color. The salon owner is Cinderella’s Fairy Godmother herself, although she leaves the day to day operations to wand-toting Godmothers-in-Training. 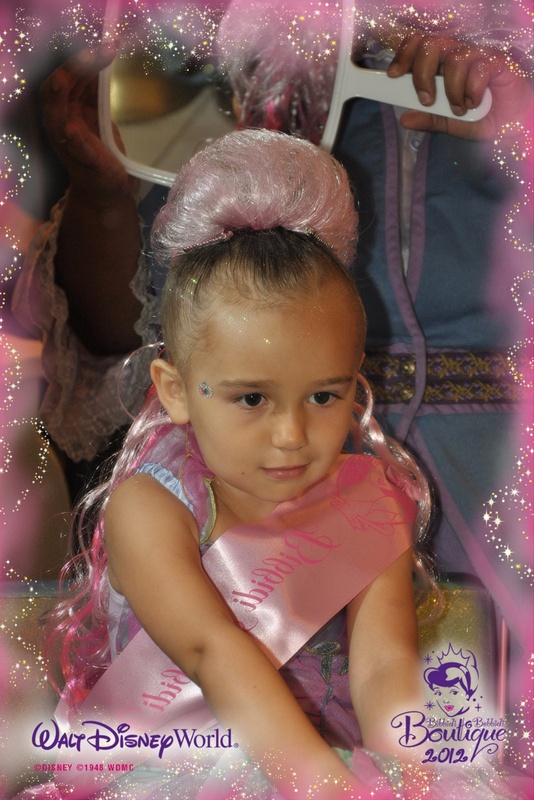 Tiaras, sashes, faux hair, accessories, jewelry, painted nail…what more could a little Disney Princess ask for? 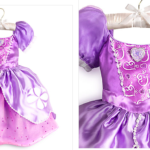 Bibbidi Bobbidi Boutique can be found in two convenient locations: inside Cinderella Castle at Magic Kingdom theme park and in Disney Springs at their new Once Upon a Toy store location. 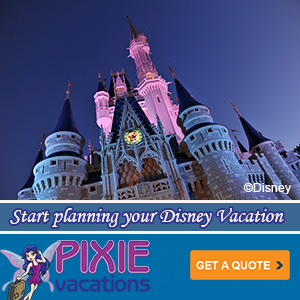 You can make reservations at either of these location up to 180 days in advance by calling (407) (939-7895) which is also 407-WDW-STYLE. How cute a phone number is that?! Your daughter will receive her own “Fairy Godmother-in-training” who will wave her magic wand, then break out the beauty tools, and turn your darling into a princess! 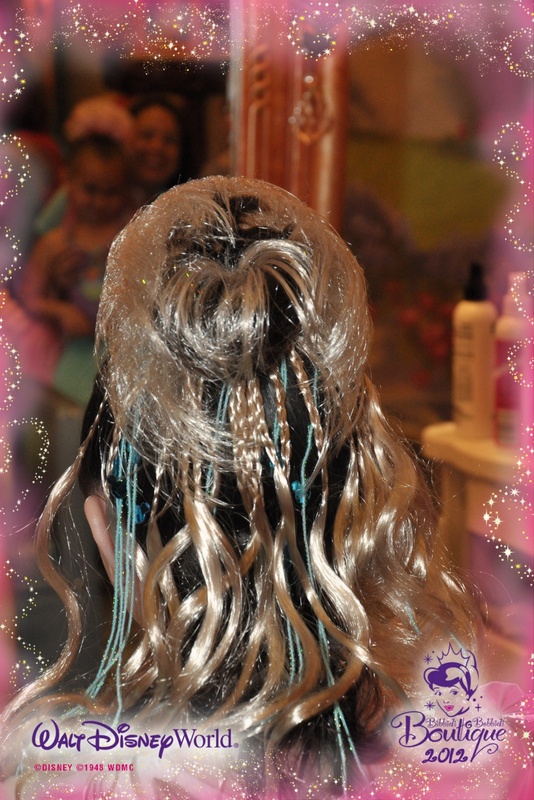 Depending on what services you want to pay for, you will choose a hairstyle, make-up, and nail color. 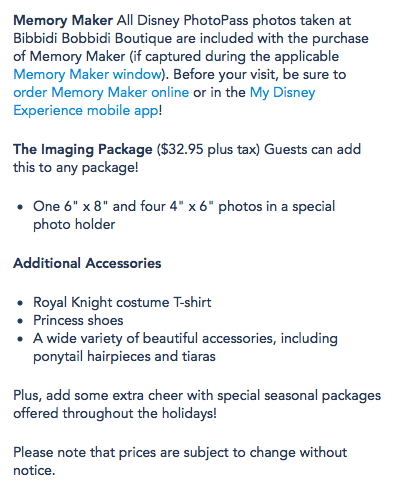 By paying an additional charge, you can add accessories, a Disney princess costume, and keepsake photo in a princess-themed photo holder, if your brought $$$. In many ways, your options are only limited by how much money you want to pay. Hours may vary at the Magic Kingdom location based on park hours. Disney Springs advertises their hours as 8:45 a.m. to 7:30 p.m., but I would definitely call to confirm. My Dreams of Disney’s Princess Sophie has her hair styled. 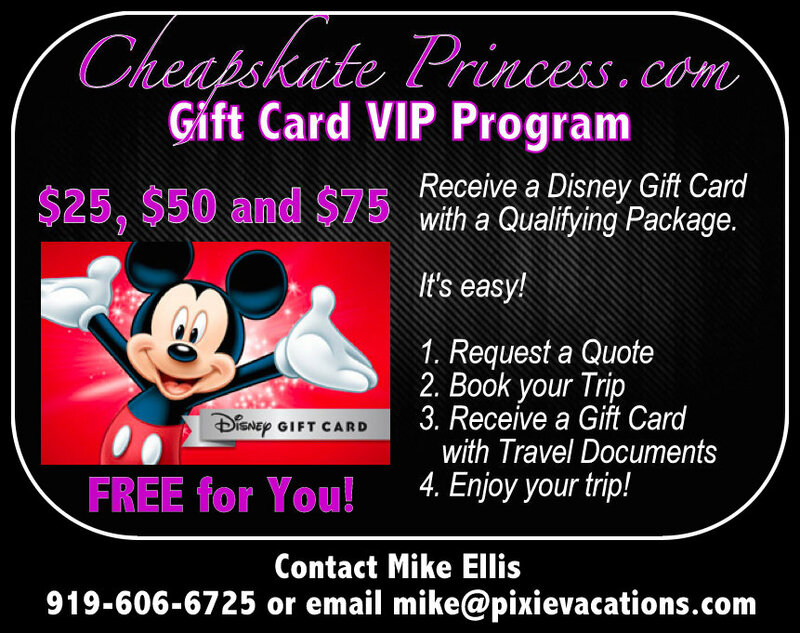 The question is asked on Disney’s website, “How much of a princess do you want to be?” My daughter would have answered,”Let’s go for it.” You just have to choose a package that fits your budget. There are prices for 2017. Then pick your package. Guests can be either girls or boys. Ask about special seasonal packages offered throughout the holidays to add some extra cheer. And as per usual, please note that all prices are subject to change without notice. These prices were updated in June of 2018. My Dreams of Disney’s Princess Sophie loves her Disney Princess transformation. The World of Disney location offers a wide variety of beautiful accessories, including ponytail hairpieces and tiaras. As I said before, it looks like more and more girls are transforming into princesses, so it’s definitely worth your time to call and make reservations once you have decided to let the transformation begin. 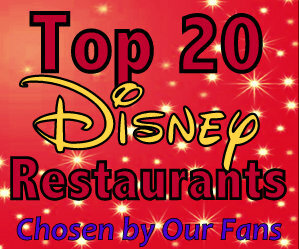 Even the Disney website acknowledges these makeovers are very popular and suggest you make reservations. 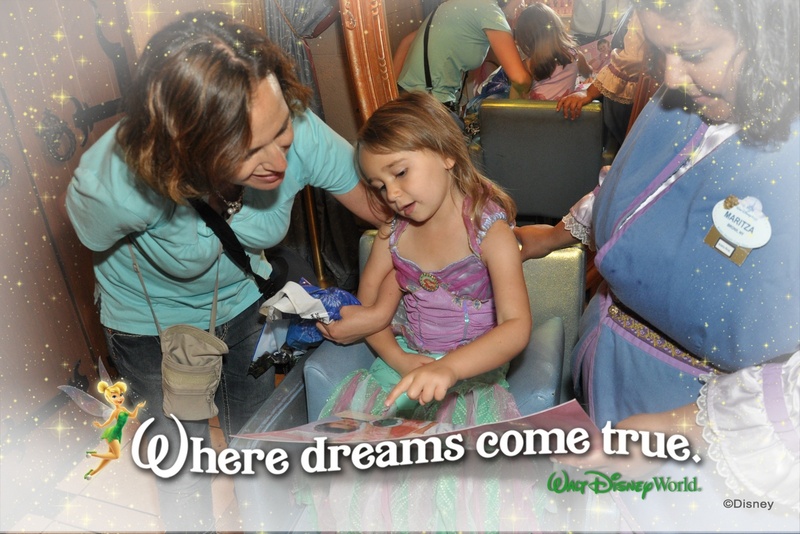 Call (407) WDW-STYLE or (407) 939-7895 to book your appointment with a Fairy Godmother-in-training. A valid accepted credit card number is required at the time of your booking. A $10 cancellation fee will be applied to credit cards for all no-shows or if a reservation is canceled within 24 hours of scheduled time. 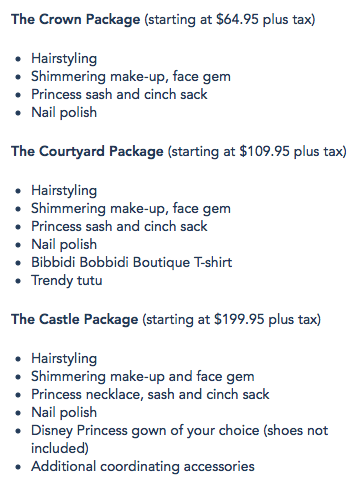 A princess transformation will take 30 minutes to an hour, depending on the package you select. Make sure you keep this in mind if you have dinner reservations or need to be somewhere at a certain time. 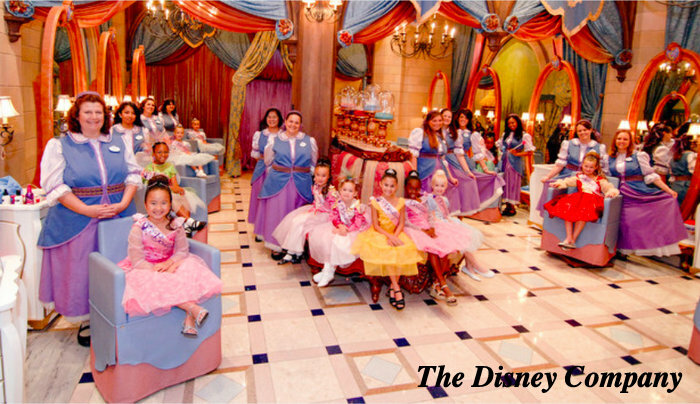 At the Bibbidi Bobbidi Boutique, guests must be accompanied by an adult 18 years of age or older. To participate, guests must be between 3 and 12 years of age. 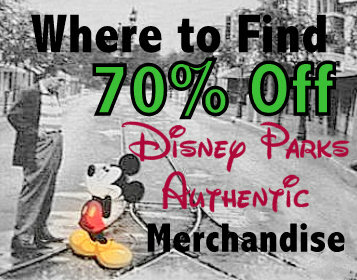 Ask a Cast Member if they offer a discount. 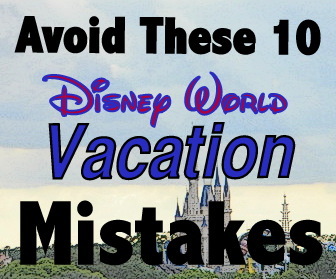 I have heard of discounts being offered to Disney Vacation Club members and Disney World Annual and Seasonal Passholders. They may tell you no, but it certainly never hurts to ask. 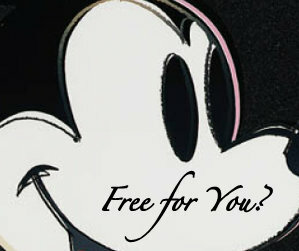 Read: Do You Have a Favorite Disney Child, and Would You Admit It? 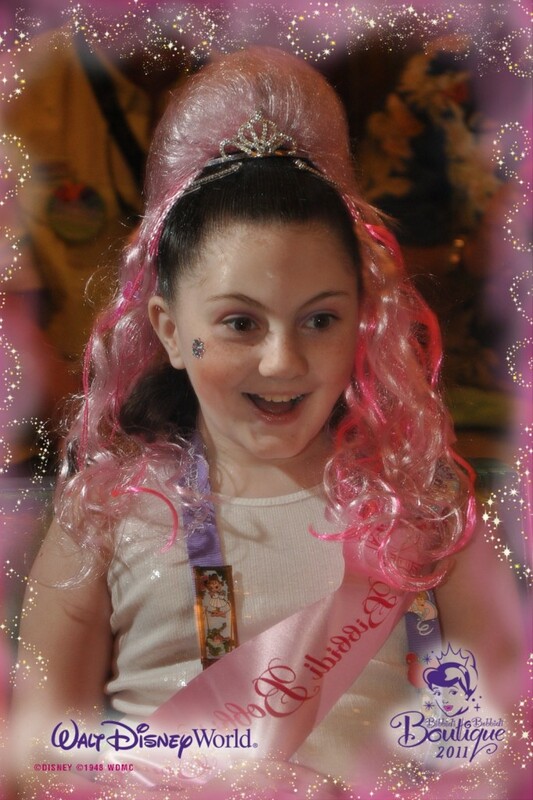 My Dreams of Disney’s River strikes a pretty pose in her princess sash. 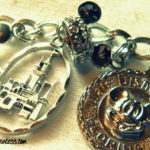 Use this link for the Magic Kingdom Boutique. A huge thanks to Mike from My Dreams of Disney for the adorable photos of the Disney princess he traveled with at Walt Disney World. Mike and his crew write about everything under the sun when it comes to Disney. 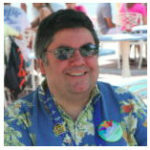 Stop by his site and see what’s new. My Dreams of Disney’s Princess Madelyne-Lois smiles pretty for the PhotoPass photographer. 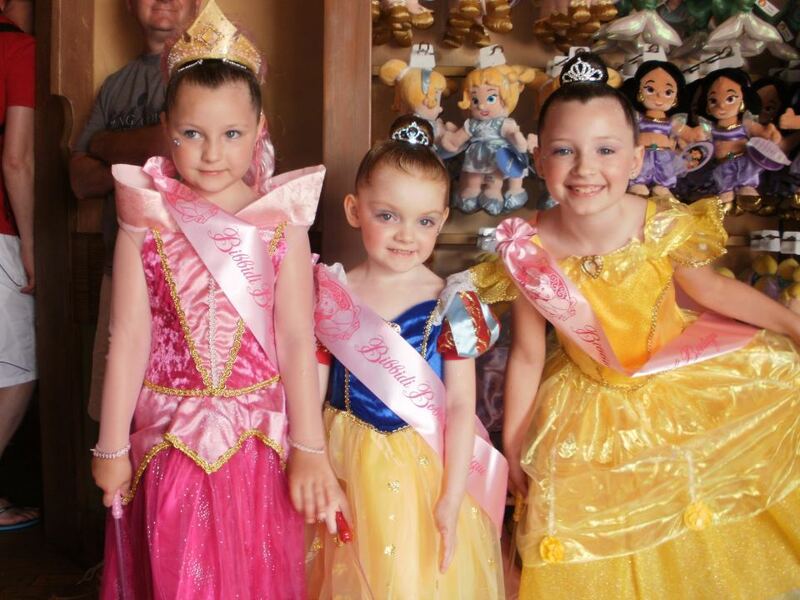 This photo of simply precious princesses Malora, Alyssa, and Kendra comes from Cheapskate Princess fan Rachel Hakkarainen. 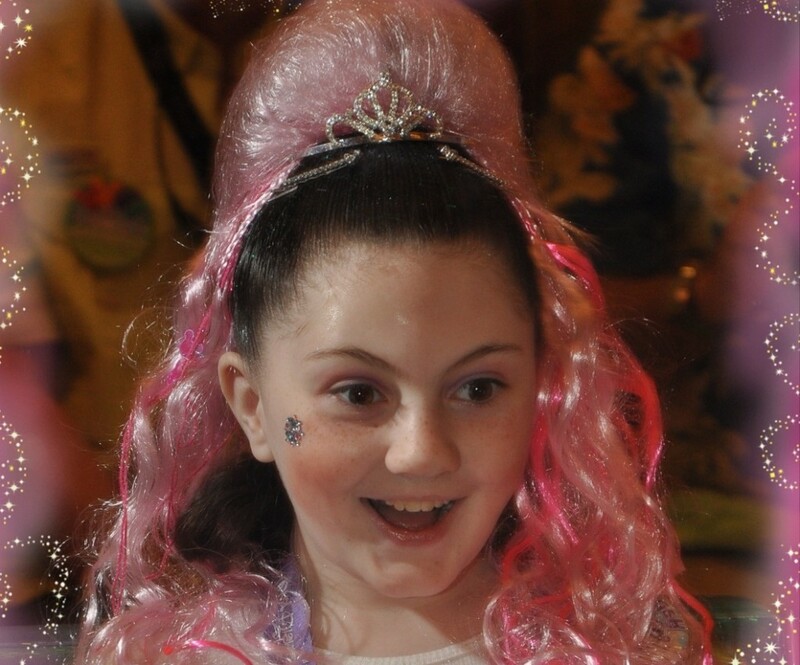 Like to know what other Cheapskate Princess fans thought about their experience at the Bibbidy Bobbidy Boutique? Was it worth their money? Check it out here before you make your decision. 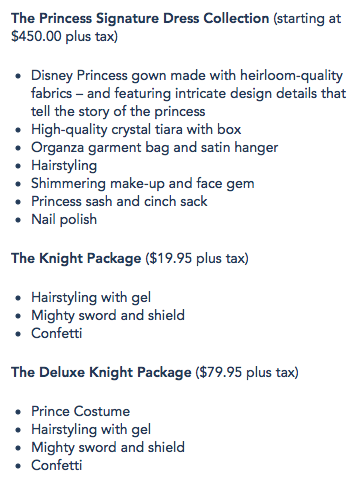 If these prices are out of your range, and I am financially thankful every day my daughter left for college before this became so popular, then there certainly are other options for those of us wondering how to pay for tickets, much less afford $60 princess dresses. You can do your on little girl’s hair and make up in your hotel room. Tiaras are available at Wal-mart, and used princess dresses are for sale on Ebay and at yard sales all the time. 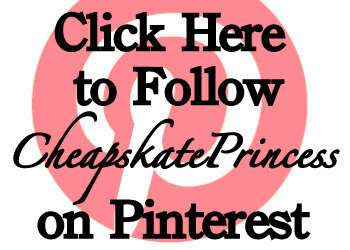 You just have to take your time and shop for a low price. You can take your own photos of your princess and print them out yourself. 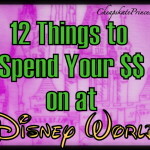 The prices are pretty steep at the Bibbidi Bobbidi Boutique because what you are paying for is an experience, and at Disney World, whether that be a souvenir or an event, you get what you pay for. 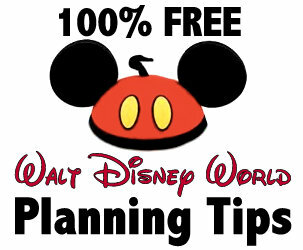 And thank you for stopping by for some pricing tips on a grand Disney Event that is certainly not mandatory but has the potential to be quite possibly one of your more memorable experiences…if you have the cash. 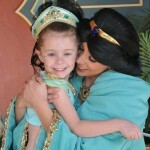 Can You Afford Those Adorable Disney Princess Costumes at Walt Disney World?